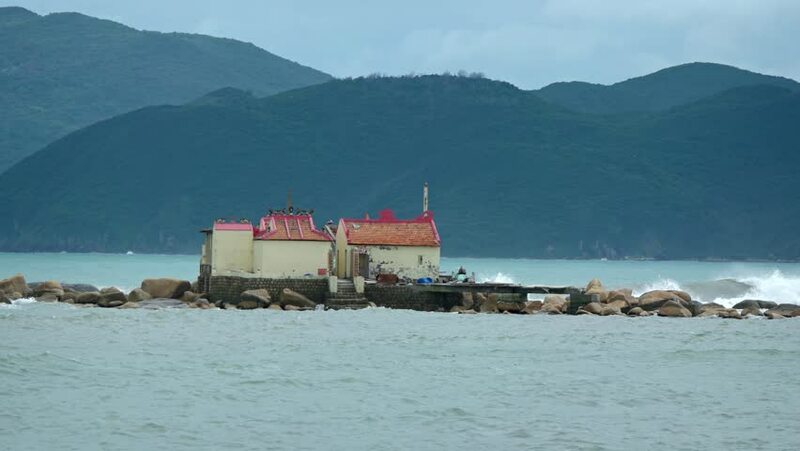 Little Buddhist temple stands unprotected from the waves on the tiny. rocky island of Hon Du. near Nha Trang. Vietnam. hd00:32old pier on the lake. hd00:15Small Passenger Ship Sailing Along the Coast. Cruise Away Sailing Ship.